As cornerback Trumaine Johnson gets set to hit free agency, here are five teams that are the best fit for him. Around this time a year ago, the Los Angeles Rams had a tough situation on their hands. 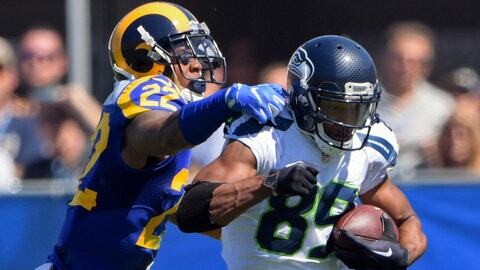 Both of their starting cornerbacks, Janoris Jenkins and Trumaine Johnson, were headed for free agency and retaining both was unlikely. A choice was made to keep Johnson by placing the franchise tag on him, while Jenkins signed a five-year, $62.5 million deal with the New York Giants. Jenkins went on to have a very good season, grading out as a top-10 corner in the league through most of the regular season by Pro Football Focus. Johnson, on the other hand, had just one interception for the Rams in 2016 after picking off seven passes in 2015. But Johnson is still one of the top free agent corners this year, with the kind of size (6-foot-2, 208 pounds) to hold up well against opposing No. 1 wide receivers. With plenty of teams in the market for cornerbacks, here are the five best free agency fits for Johnson. The Raiders went after one of the top free agent cornerbacks last year, and after a slow start Sean Smith ended up having a solid first season with the team. But Oakland finished 24th against the pass during the regular season (257.5 yards per game), and an upgrade on David Amerson as a starter opposite Smith should be sought this offseason. Pending new contracts for Derek Carr and Khalil Mack will change things after this year, but the Raiders have nearly $49 million in salary cap space at this point in the offseason (via Spotrac.com). That is plenty enough to make a significant offer to Johnson next month, and the chance to join a winning team on the rise should appeal to him. 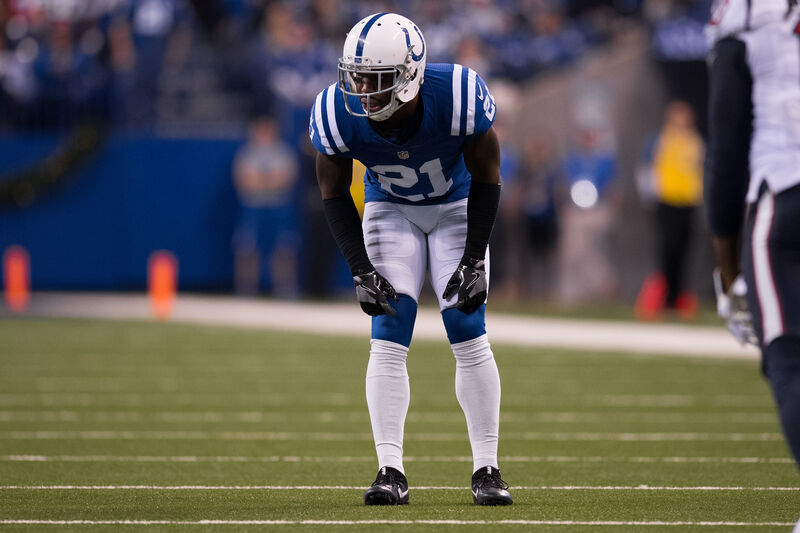 An ankle injury sidelined Vontae Davis for Week 1 and Week 2 last season, but the Colts’ No. 1 cornerback dealt with other injury issues (concussion, ankle) on his way to a disappointing season (one interception). 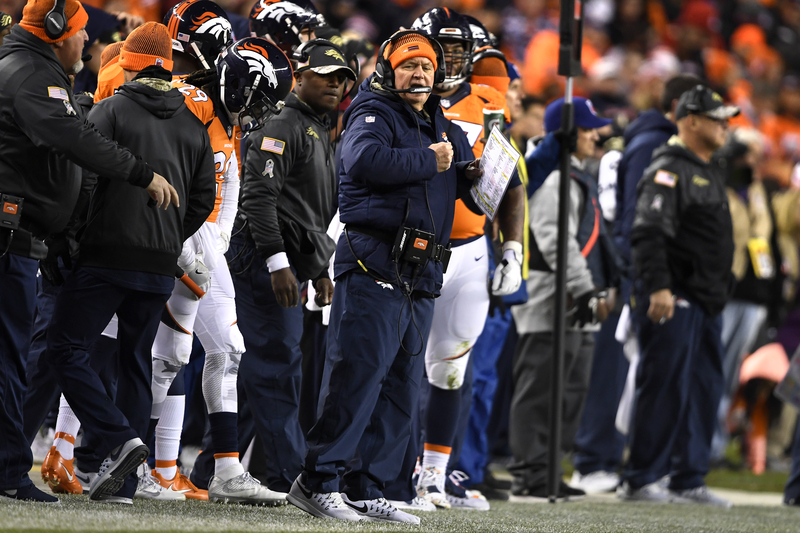 Not surprisingly, Indianapolis had the 27th-ranked pass defense in the league (262.5 yards per game) with just eight interceptions (tied for second-fewest in the league). Former Colts’ general manager Ryan Grigson’s assertion about it being tough to surround quarterback Andrew Luck with talent held no water at the time, and new GM Chris Ballard has $60.915 million in salary cap space at this disposal right now. So money should have little impact on addressing any roster needs, and cornerback is clearly among them on the defensive side of the ball for Indianapolis. Johnson has to be on the Colts’ radar in free agency, as arguably the No. 1 corner available. There should be some mutual interest, if only based on Luck’s presence and the possibility of going to the postseason. Gregg Williams served as Rams’ defensive coordinator under Jeff Fisher over the last three seasons, and he now occupies the same post for the Browns. So the potential tie to Johnson is there, and Joe Haden having two straight down, injury-riddled years has further exposed Cleveland’s lack of talent in the secondary. 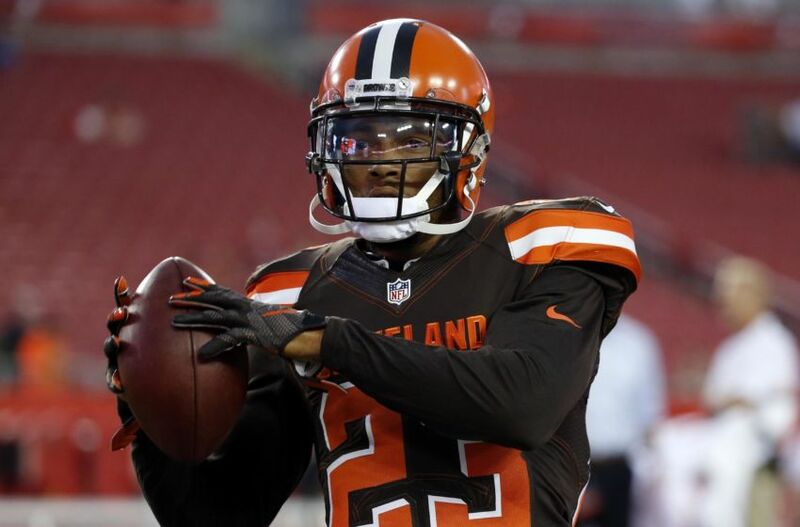 With the moves to cut quarterback Josh McCown and cornerback Tramon Williams this week, the Browns’ league-high in cap space has grown to over $108 million. It’s unclear if that will bring any significant investments in the free agent market this offseason, but Spotrac’s market value estimation of a four-year, $49.636 million deal ($12.4 per year) for Johnson would hardly be prohibitive. Johnson had the best season of his career playing in Williams’ defense, with 71 total tackles, 17 pass breakups and seven interceptions in 2015. 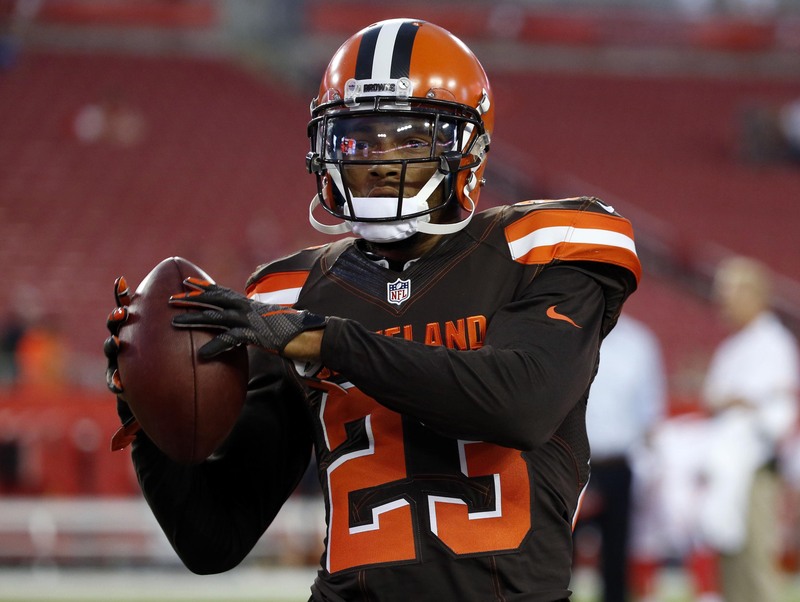 If Haden is healthy and able to recapture his previous form, a similar dynamic to the top-notch Johnson-Jenkins duo with the Rams in 2015 could come to Cleveland. 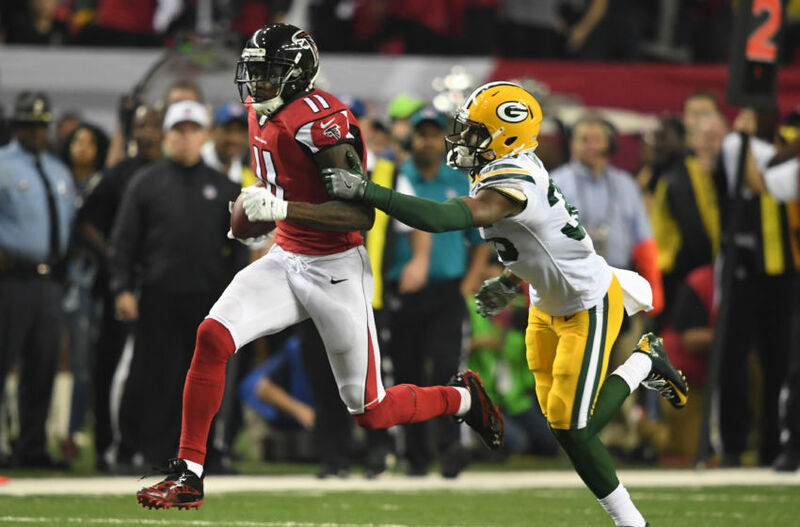 The NFL’s 31st-ranked pass defense during the regular season (269.3 yards per game) was obscured by how well quarterback Aaron Rodgers was playing down the stretch, but the Packers’ secondary was eventually exposed in the playoffs. 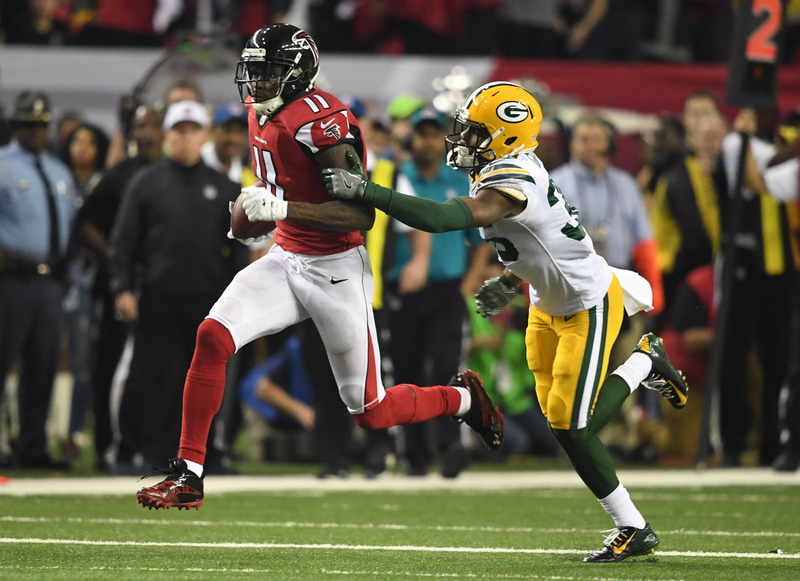 Between the Divisional Round and the NFC Championship Game, Green Bay allowed a total of 694 passing yards to quarterbacks Dak Prescott and Matt Ryan. The move to cut cornerback Sam Shields on Wednesday cleared $9 million off Green Bay’s salary cap for this year. That puts them in the top half of the league in cap space now (per Spotrac.com), pending any further moves, and multiple reports suggest general manager Ted Thompson will be uncharacteristically aggressive in free agency this year. The Packers need to add a legitimate No. 1 corner who can have a domino effect on how roles shake out in the rest of the secondary. Johnson has shown signs he can be that guy, and he should be plenty motivated to prove 2016 was a blip on the radar. “(Jeff) Fisher guys”, with a specific mention of Johnson. More recently, Rams’ general manager Les Snead was non-committal on the topic of re-signing Johnson. But new Rams’ defensive coordinator Wade Phillips needs good corners as he transitions the team to his 3-4 scheme, and Johnson is clearly still the best incumbent corner on the roster. The Rams could franchise tag Johnson one more time, hope he rebounds next season and then sign him long-term a year from now. But he’ll definitely find a multi-year deal somewhere this offseason if he hits the open market, so Los Angeles will have to compete with that if they relinquish control over the situation by not applying the franchise tag. There’s also the possibility Johnson won’t sign the franchise tender right away, the Rams will rescind it and he’ll be available later than usual like Josh Norman was two years ago. But the Rams should be willing to give Johnson a multi-year offer right away, and not let the situation deteriorate the way Norman’s did with the Carolina Panthers.